You do not want to end up your trip with frustrated experience due to wrong timing, do you? Let Authentik Travel give you some travel information about a vacation in Vietnam during some particular time and to find out what should be avoided! 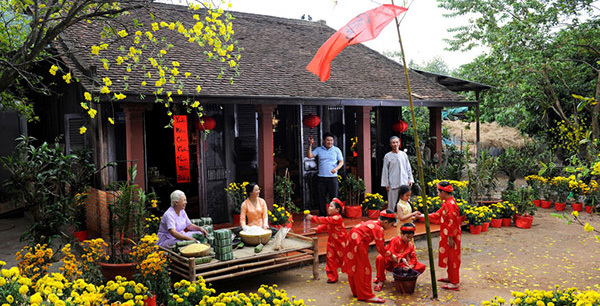 Many special festivals and national celebrations are value-added points for Vietnam. However, it has come along with a few obstacles for international tourists. A high demand for public transports will lead to many difficulties in booking air tickets, trains or any other types of transports. Consequently, the fares rise abnormally. Besides, the service quality of transportation during these periods may disappoint your expectation. During festival times, it is difficult for tourists to find accommodation, let alone a place that satisfies and matches their budget. A huge amount of tourist has led to a fact that many restaurants and hotels overcharge clients without any guarantee of the service quality. Christmas and New Year celebration is an important holiday for many foreign tourists. 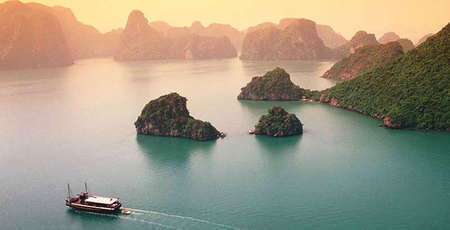 Taking placed from December 20th to January 10th, many expats in Singapore, Malaysia, Japan, South Korea plan their vacations in Vietnam, especially in the southern coastal cities such as Phu Quoc, Phan Thiet, Nha Trang, Da Nang, Hoi An; and Halong Bay is also a favorite destination in the north of Vietnam. Therefore, the demand for accommodations sharply increases and exceeds demand, leading to the scarcity of rooms and an escalation in price. During the Christmas and New Year, if spending your vacation in Vietnam in the mentioned places, you should carefully plan in advance for available rooms at reasonable price. Besides, instead of the above attractive destinations, we are pleased to suggest some other easily reached places such as Van Long – Ninh Binh – Hue – Da Nang or the mountainous region in the north like Mai Chau – Pu Luong –for your travel to Vietnam during this phase. 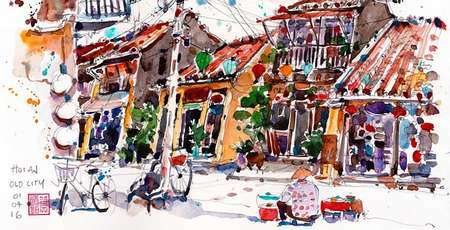 Visit Vietnam this time is a great chance to enjoy the exciting atmosphere from the city to the countryside. Exploring the beauty and culture in crowded markets in all regions of Vietnam, especially the colourful flower Market in big cities, unique floating markets in the Mekong River or some Ethnic markets in the North will give you a memorable vacation in Vietnam. Since this is a time for Vietnamese to return their hometown for family reunion, there is a huge demand for public transport, leading to a scarcity in flight, train or bus ticket. The airfares from the south to north direction are often double than the normal ones. Make a plan for your vacation in Vietnam at your soonest convenience with north to south direction priority. During the holiday season, almost all kind of entertainment and catering are customarily out of service. Very few beauty spots, supermarkets, bars, art centres or travel agency open, which make tourist bored and inconvenient. Do not visit any markets on this period. Priority to Central and South (Hue, Hoian and Saigon) or beautiful coastlines such as Mui Ne, Phu Quoc. 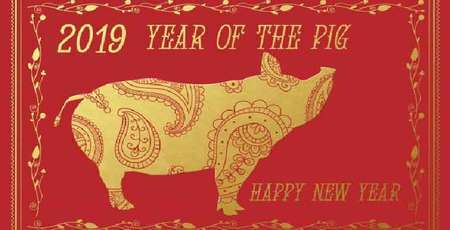 Accommodate yourselves with a hotel including food and drink service if you stay in the North during this lunar New Year. After enjoying the holiday with family, most of the Vietnamese travel back to major cities for their normal daily working. This explains why the demands for public transport will arise. In the contrast to the “before the new year” period, North to South flights and trains are now scarce, and tourist may have to pay much more for fare. Additionally, markets have not been opened yet. There is not much to explore there. 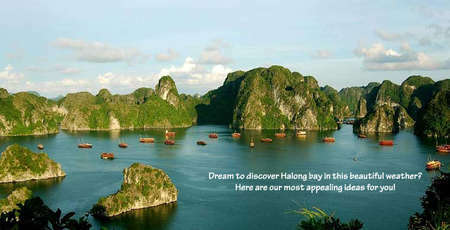 Plan your vacations in Vietnam at your soonest convenience. Start your trips from the north to south direction. Limit visiting to markets in the tour plan. Every nation has special occasions to honour their history and culture. In Vietnam, the Reunification day (April 30th), May Day (May 1st) and Independent Day (Sep 2nd) are known as three most popular national celebrations and second expected holiday after Lunar New Year. Avoid the above destinations and choose to explore ethnic minority villages in the north of Vietnam such as Mu Cang Chai - Mai Chau – Pu Luong - Ha Giang – Cao Bang – Ba Be. Restrict moving between locations by plane or train. 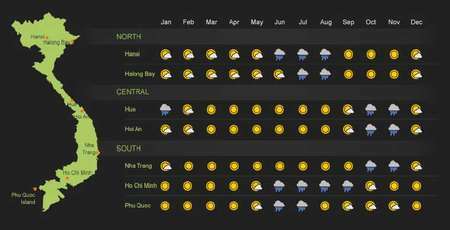 Besides the important holidays mentioned above, the weekends are also considered the "peak” occasion of local Vietnamese tourists, especially during the summer days (from mid-May to late August each year). Similar to national celebrations, Vietnamese tourists also rushed to the popular coasts such as Cat Ba, Mui Ne, Phu Quoc, Sa Pa and Da Lat. Thus, when plan for a vacation in Vietnam; you should skip the above destinations. Do not wait until the troubles knock at your door! We hope our suggestion will be useful for you to plan your perfect trips in Vietnam!